Last Friday, Frankston Arts Centre opened the month long Ventana Festival. This year, the Latin American, Portuguese and Spanish Fiesta in Melbourne's South East incorporates TrashArt; an art exhibition with a focus on reusing recycled materials. 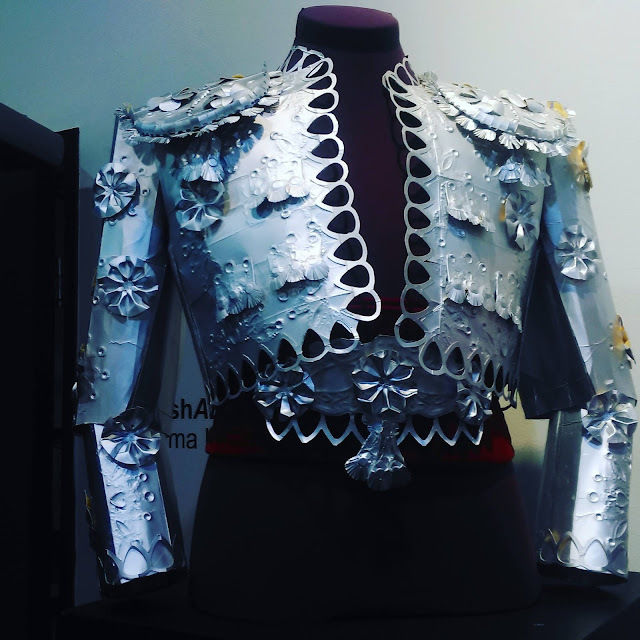 See costume designer Emma Ikin's jacket, made from approximately 25 bonsoy soy milk cartons (inside out), given to Emma by a local cafe. 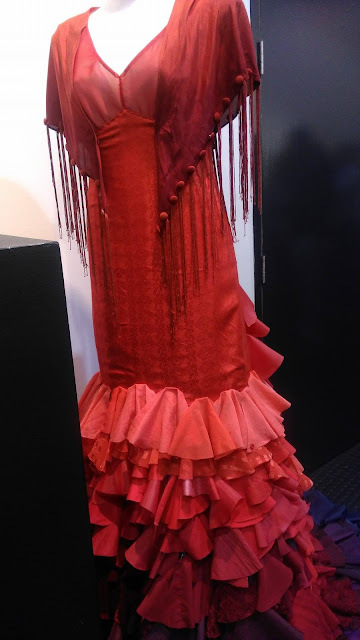 Emma also pieced together a red gown using odds and ends of her own fabric, and extras given to her by Frankston Op Shops. 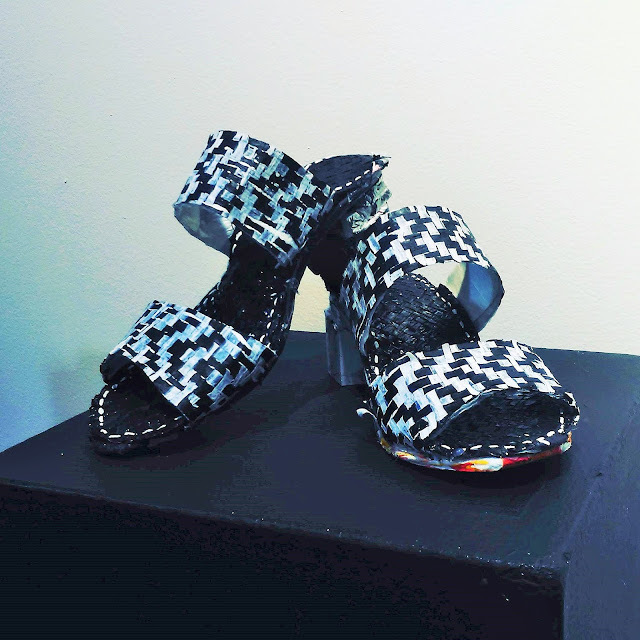 Admire Industrial Designer Emma Muirhead's graduate project Immer; a pair of wearable shoes made with over 300 heat-fused plastic bags. Emma's Immer shoes use design as a way to create value and change people's perception of plastic bags. "Plastic is forever. A large amount of plastic produced annual is used to make throwaway packaging such as plastic bags that are disposed of within a year of their manufacture." Immer shoes encourage and inspire post consumer recycling. 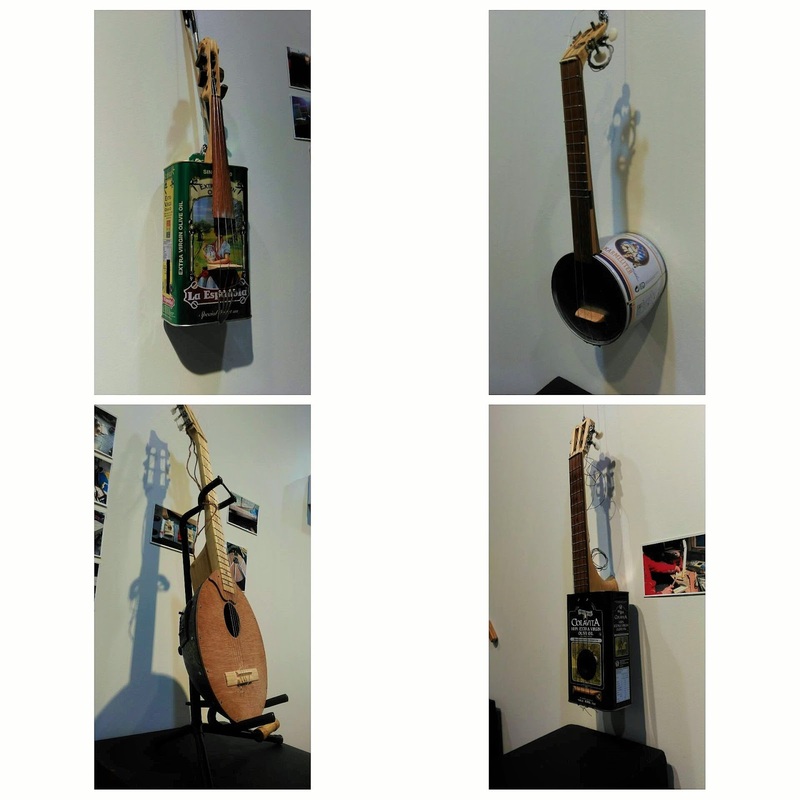 Also see a collection of string instruments made by artist Leo Rodriguez, inspired by Landfill Harmonic; the tale of a Paraguayan Youth Orchestra who live next to one of South America’s largest landfills and make their instruments from recycled materials. 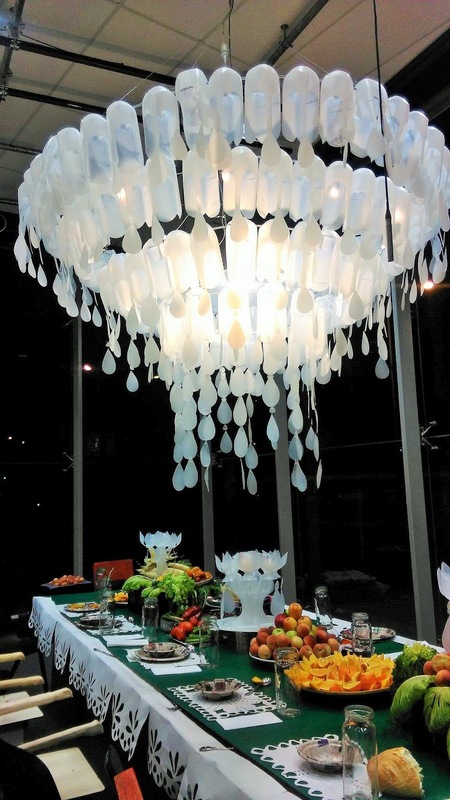 In the glass CUBE 37 Gallery, enjoy TrashBanquet by Leo Rodriguez, Emma Ikin, Jesús Moreta and Maria Peña, which sees rubbish transformed into an art installation banquet, including a rather impressive chandelier made out of.. can you guess? Lastly, TrashLation: Basurama Collective, is a collection of images by designers and artists from Madrid, Spain. In Spain's capital city, abandoned places have been revamped into playgrounds using trash resourced from local communities. , on until 12 March 2016. Seeing this also saddens me because it is a reminder of everything we throw away.I throw exactly the same kind of milk bottles away every week, because I simply don't know what to do with them... I really is a call for improving package-free shopping, isn't it?